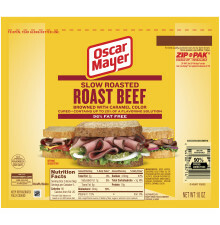 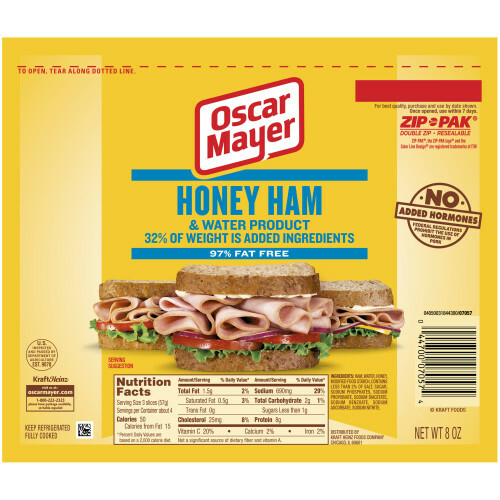 Oscar Mayer Honey Ham is made with quality, 97% fat free meat and packed with delicious honey flavor. 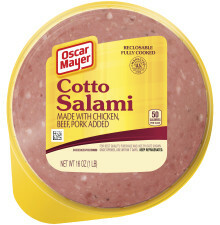 Enjoy it on your favorite sandwich! 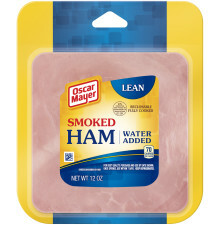 HAM, WATER, HONEY, CONTAINS LESS THAN 2% OF SALT, SUGAR, SODIUM PHOSPHATES, SODIUM PROPIONATE, SODIUM DIACETATE, SODIUM BENZOATE, SODIUM ASCORBATE, SODIUM NITRITE.